Tour Cost Starts with : INR 94,224 /- per person on twin/ Dbl sharing basis. Please note that the above given fares are best available as of now and same are subject to change at the time of confirmation. 3. Rates are valid only for the moment (as hotels have the right to change their rates subject to availability). Final rates will be confirmed upon the time of the actual booking request. 5. In case of any increase in the Entrance fees different rates will apply.Supplement for high speed ferry is 25 Euros per person for sector. 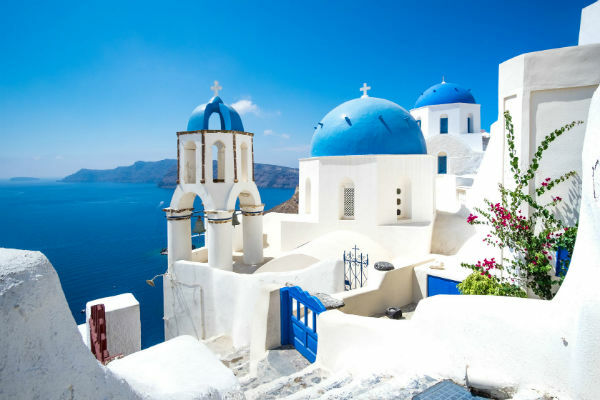 From January 1, 2018, the Greek Government is imposing on a new‘Stay over Tourist Tax’ which will be valid to Hotels and furnished rooms/apartments for rent . This will be calculated based on the number of overnight stays and the category of the accommodation unit . by the guests in Euros . In case there is any change on the above we will update you. 1 Euro = INR 76. The prevailing Rate of Exchange of the day of payment will be applicable.